The Oldford Team is proud to partner with the NHL Alumi tour to raise funds and support for the Special Olympics. We are offering the chance to win up to 17 tickets including 2 VIP tickets with Alumni Jerseys to wear! Game is in Cornwall on March 16th, 2018. 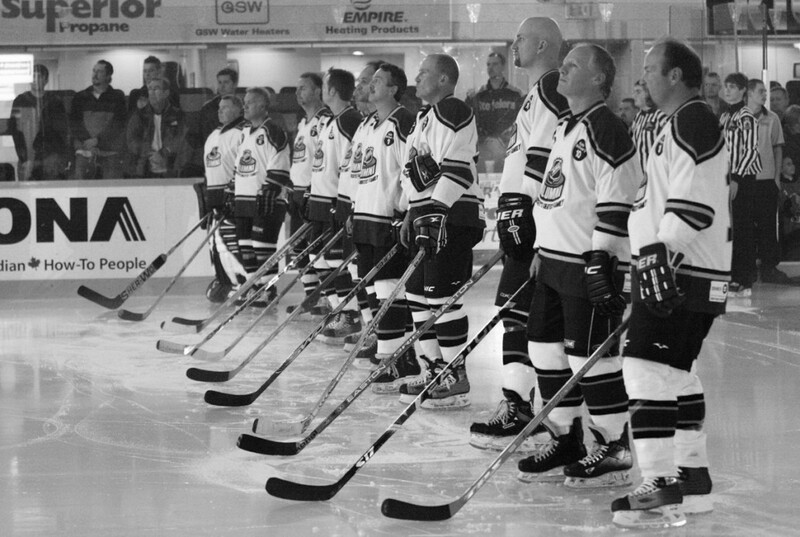 The NHL Alumni Tour is a series of approximately 30 games that take place across Ontario each winter. Some of hockey’s greatest heroes come together to square off against different teams, including local law enforcement and corrections officers. You can see some of the past Alumni players here. Each game is exciting and unique – the sessions often include a skills competition that will keep you on the edge of your seat and on-ice gags that will keep you in stitches. Games are played in support of different local charities and non-profit organizations. In Cornwall, the game is dedicated to help support the Special Olympics and Law Enformcent Torch Run’s mission “To provide year-round sports training and athletic competition for individuals with intellectual disabilities.” This year’s games is a special opportunity to also recognize and celebrate the 30th anniversary of the Law Enforcement Torch Run Ontario! These games are a great, fun family event and a great opportunity to give back to the community by supporting great local causes. Doors open at 1:00PM, game starts at 2:00pm at the Cornwall Civic Complex, 100 Water Street East, Cornwall, ON. For your chance to win, call, email, or text any members of the Oldford Team with your full name and phone number. If your name is called, you will be given the opportunity to take 2 tickets in exchange for bringing 2 non-perishable food items for the North Dundas Food Bank to the Royal LePage Team Realty office at 530 Main Street, Winchester or upon collection of the tickets. First draw winners will be awarded the VIP tickets and jerseys. Draw to take place February 25th, 2018. More information can be found about this event can be found here (www.benefithockey.com/cornwall-march-16-2018). More general information about the alumni tour can be found here (www.benefithockey.com), and about the NHL alumni and the different roles it plays here (www.nhlalumni.org).